Thomas Dausgaard has received an honorary doctorate from Örebro University in Sweden for “his creativity and innovation in programming, the excitement of his live performances, and his extensive catalogue of critically-acclaimed recordings”. “It is a real delight for me personally to accept this appointment as an honorary doctor at Örebro University. 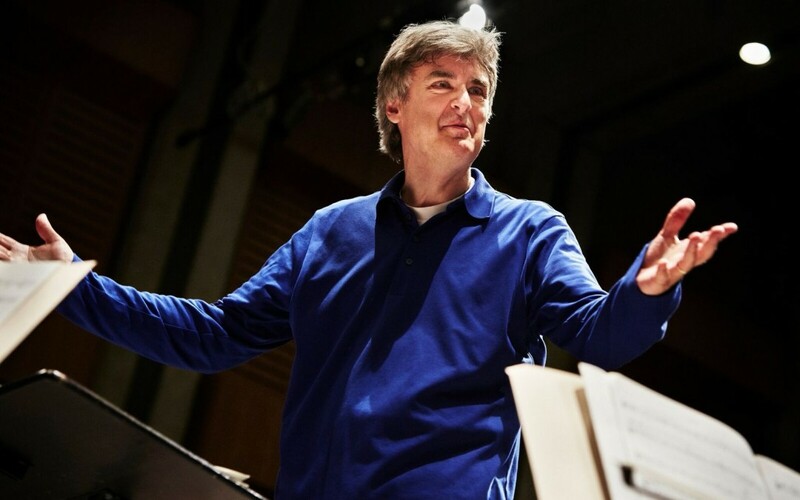 At the same time, it strengthens the ties between the Swedish Chamber Orchestra and the University, a collaboration I hope will continue to grow,” says Thomas Dausgaard, who has held the position of Chief Conductor of the Swedish Chamber Orchestra in Örebro since 1997. “Enthusiastic” is the word Thomas Dausgaard uses to describe his feelings about the Concert Hall at the School of Music, which he and the Swedish Chamber Orchestra have been using for both performances and recordings, and he is just as enthusiastic about the contact with the students. “There must be an organic dialogue between music research and the performing music scene, and I hope that my appointment will give it some real momentum,” he says. Since Thomas Dausgaard was appointed Chief Conductor of the Swedish Chamber Orchestra, they have taken the musical world by storm over the years with their highly successful and critically acclaimed recordings of Beethoven’s complete orchestral works among other projects. Under his leadership, the Swedish Chamber Orchestra has been regularly invited to perform at the finest concert halls and the most prestigious music festivals, such as the Salzburg Festival, BBC Proms, Schleswig-Holstein Musik Festival and Mostly Mozart in New York. Thomas Dausgaard is also Chief Conductor of the BBC Scottish Symphony Orchestra and, as of next year, Music Director of the Seattle Symphony. He is also Honorary Conductor of the Orchestra della Toscana and the Danish National Symphony Orchestra, in addition to regular guest conducting assignments with leading orchestras around the world. As of summer 2019, he will become Conductor Laureate of the Swedish Chamber Orchestra. “Our collaboration with Thomas Dausgaard has been of particular importance for forging links between students and professional musicians. Students have been given the opportunity to participate in various professional contexts, both as musicians and composers,” says Eva Georgii-Hemming, Professor of Musicology and Head of the School of Music, Theatre and Art at Örebro University. Thomas Dausgaard has previously been awarded the Danish Cross of Chivalry and he is a member of the Swedish Royal Academy of Music.